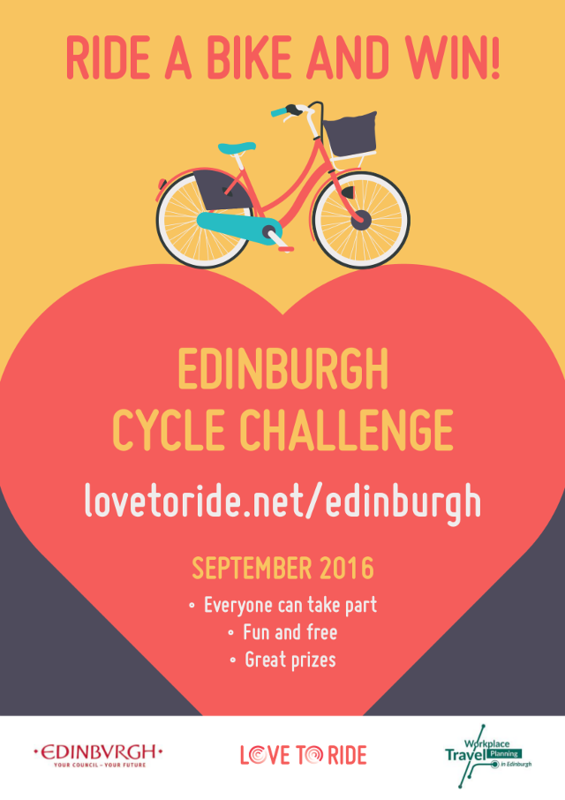 The University of Edinburgh has won the 2016 Love to Ride Edinburgh Cycle Challenge and placed 4th in the UK National Cycle Challenge. The Cycle Challenge runs at local and national level, with participation registered via the Love to Ride website. The fun and friendly competition aims to encourage Active Travel during the daily commute. Whether that be cycling, walking, running or skateboarding, we congratulate all staff and students who participated and helped promote healthy and environmentally friendly travel within Edinburgh. 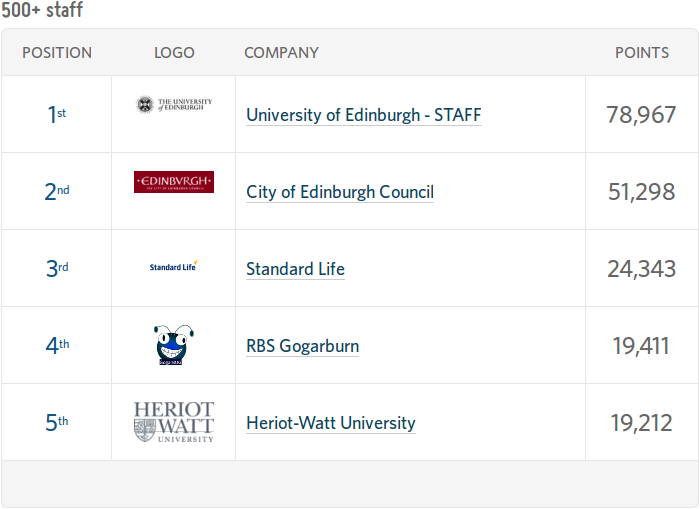 In winning the Edinburgh Challenge, the University beat Edinburgh Council, Standard Life, RBS Gogarburn and Heriot-Watt University to take the title, amassing 78,967 points on the way. The School of Engineering did our fair bit, collecting 18,077 points (23% of the University total!) and placed 4th in the Edinburgh Challenge for Departments sized 200-499. Look out for further news about an upcoming event to celebrate our fantastic victory.